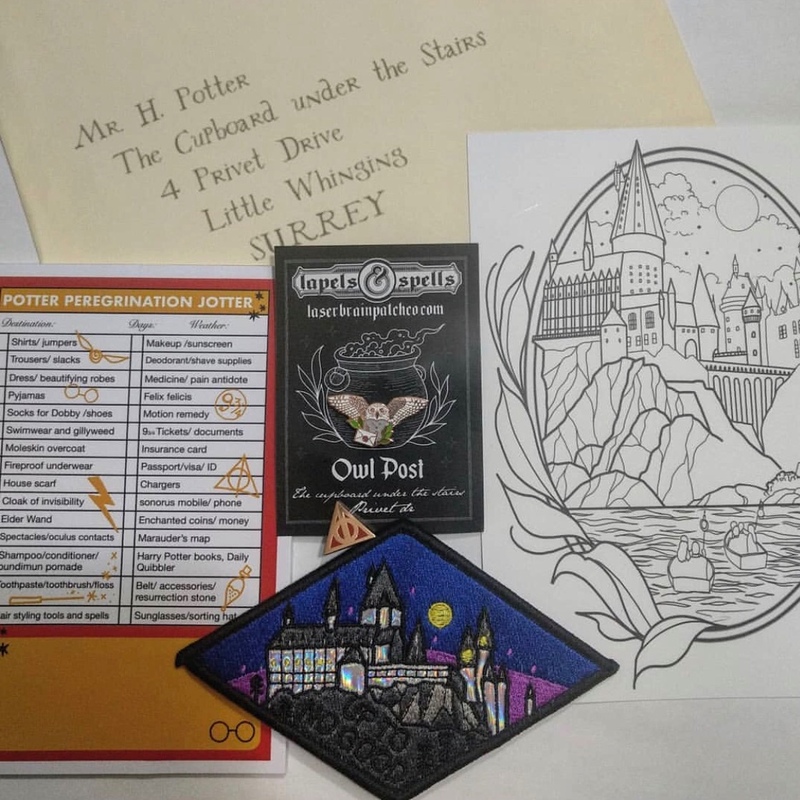 This was May’s theme package:Owl Post. Inspired by Harry Potter. We have a few left! It featured a matching pin set. 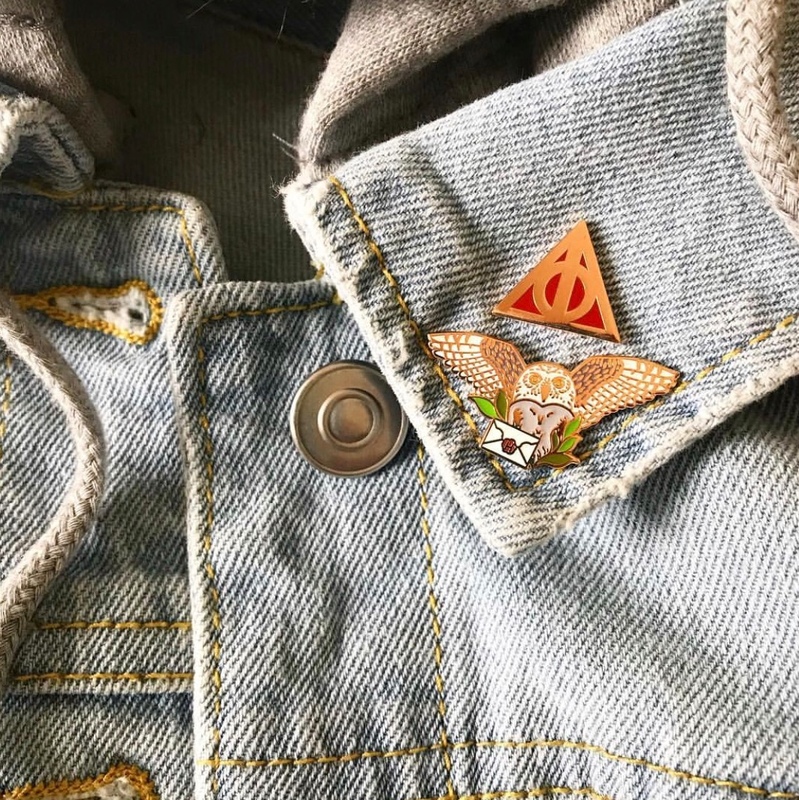 This package includes a very detailed 1.25” wide, rose gold colored metal, owl holding a letter hard enamel pin. It comes in greens, greys, white, and red hard enamel. Two posts. This pin is valued $10. It also has a small deathly logo in rose gold colored metal with a matching red hard enamel. This pin is valued $7. It has a very special castle custom embroidered/iron on patch sewn on a holographic rainbow material. Valued at $9. 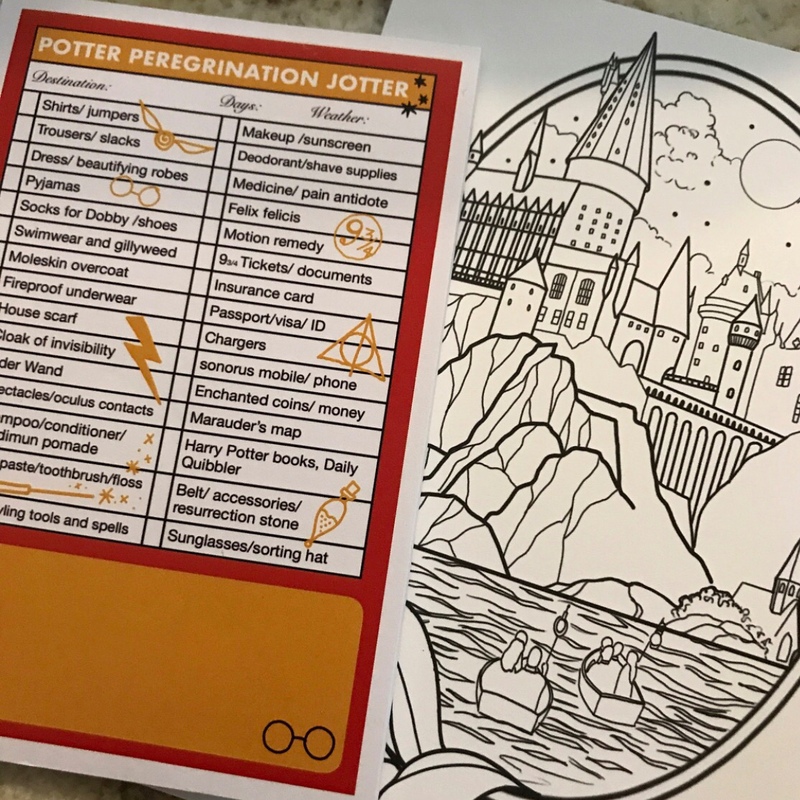 Next we included a travel checklist notepad that we made ourselves just for you guys! Valued at $5 . 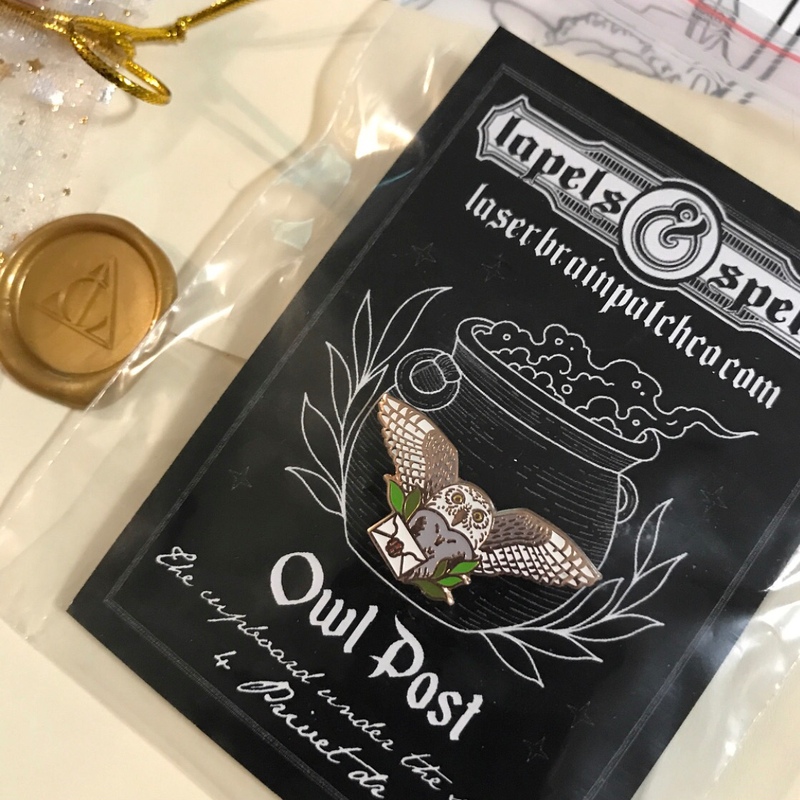 All of this is packaged in an owl post envelope and sealed with a reusable custom designed wax seal. The entire package is valued at over $30 but we will be selling these final packages slightly cheaper, and then we will sell individual items in the store. We will also be releasing some special colored versions of the pins as sets.